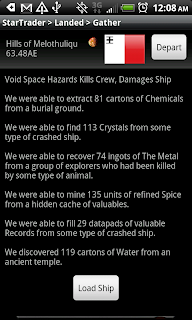 Star Traders RPG has been updated for Android. We have been working on this update for a while, and the sister update for iOS, but with Heroes of Steel taking up so much time, we didn't have time (until today) to test and submit! Just bought the elite version for my kindle fire, the free version worked but the elite version I downloaded isnt working. This is my second kindle and first time having to deal with a problem like this (most likely not a kindle problem). I went to their website and didnt find an email or phone number or even a link to click to contact them. Now I cant get it fixed or even get my money back. Sorry for the issue with your Kindle. If you would like assistance with the game, please contact us. If you are having issues with the Amazon App Store, they will be able to help you. Star Traders RPG Elite works on all Kindles.